It’s a crisis in the second episode of The Flash Season 2, and the network has released an official description! INTRODUCING JAY GARRICK — Jay Garrick (guest star Teddy Sears), a mysterious man from Earth-2, appears at S.T.A.R. Labs with a dire warning about an evil speedster named Zoom, who is set on destroying The Flash. 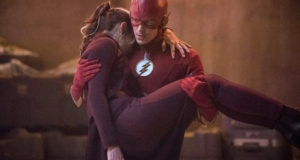 Barry (Grant Gustin) and the team must decide if they can trust this stranger even as they face yet another powerful meta-human. 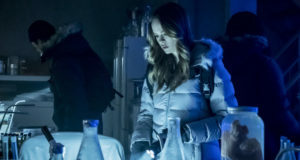 Meanwhile, Joe (Jesse L. Martin) must deal with a determined officer named Patty Spivot (guest star Shantal VanSanten) who wants to join his meta-human task force. Jesse Warn directed the episode written by Aaron Helbing & Todd Helbing (#202). 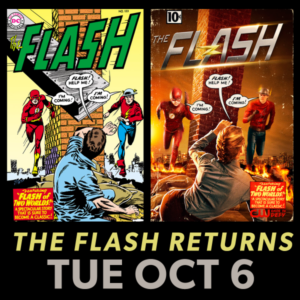 FlashTVNews Original airdate 10/13/2015.